It was a result predicted only by the deluded and Scottish Sun sage Kenny Millar. Gordon Strachan conceded at full time that a win for Croatia was 90 percent certain. Somehow Scotland made the most of their ten percent chance. Percentages figured highly. It was, said captain James Morrison, a victory earned by players giving 110 percent to the cause. Like Morrison I'm not a mathematician, but even I can see that our 110 trumps their 90 percent. He'd wrapped a sound point in the cliche though. During the slump of recent years we've fielded teams full of hard workers but too often under George Burley and Craig Levein individual endeavour failed to become a cohesive collective effort. Not last night. A team effort and a team win. A meaningless win? Our qualifying race has already been run, last night was typically Scottish: glory when there's nothing left to play for. Not quite. It certainly wasn't a meaningless game, Robert Snodgrass rammed a hole in Croatia's attempt to win automatic qualification. This wasn't Scotland taking three points from a dead rubber. It also gave an inexperienced squad a taste of beating a team ranked above them in the qualifying draw. The first time we've pulled that off since the win over Ukraine in 2007. Only Alan Hutton and Shaun Maloney from last night's team featured in that 3-1 win at Hampden, four managers and almost six years ago. When failing in the tougher games is all you know it becomes a hard habit to break. A tangible benefit from last night is remaining in the group of fourth ranked nations for the next round of qualifiers - an anaemic measure of success but an achievement that prevents a hard task becoming even more difficult. But the real meaning of the win in Zagreb might only become evident over time. Strachan has looked frustrated since taking over as manager. Under Levein Scotland were going backwards, the new manager needed a platform to halt the decline. What he got were limp performances from ever changing squads. The run up to the Croatian game was similarly disrupted by call offs but it also featured a fortnight free from domestic football, almost two weeks for the coaching staff and a young squad to figure out how to get the best from each other. And if, as I mentioned before the game, Strachan's previous conservatism in selection attracted criticism he showed more flexibility here. It's true that many changes were forced on him. But he appeared to embrace them and passed that adaptability on to his players. He spoke last night of giving Russell Martin four weeks notice of his switch to the centre of defence. Morrison was asked to not only take on the responsibility of captain but also take on more of the defensive burden in midfield than he is used to. Leigh Griffiths was fairly peripheral in attack but ceaseless in his effort, backing Strachan's decision not to send a late SOS to Canada for the experienced but rusty Kenny Miller. Searching for his first win, Strachan wasn't risk averse. It's hard to imagine his immediate predecessors making the same choices or getting the same response from the players. We should, of course, be wary of false dawns. Strachan himself spoke of a performance that still leaves room for improvement. It's also true that Croatia stuttered when big chances came their way. We remain second bottom of the group and we'll watch yet another tournament on the TV. There are still weaknesses and a lack of cover in certain areas. What we might have seen is an evolution of the squad, players beginning to react to the demands of a new manager and that manager figuring out how to communicate his methods to a young squad, a squad full of players that will face our next qualification challenge. Certainly Strachan has found his platform. He now has to build on it. If we can have more days like this, of waking up to hangovers delivered by celebratory toasts instead of drowned sorrows, he'll be doing something right. A two week build up to a Scotland qualifying match. Mounting excitement, ballooning optimism. Not quite. More a growing sense of foreboding, a lengthening injury list, the challenge posed by Croatia looming ever larger. That fortnight between the end of the domestic season and tonight's game always looked like it might prove problematic. A squad already missing some familiar faces has had seven more withdrawals. When the players picked as cover fall by the wayside what is Gordon Strachan left with? The game already looked daunting. Scotland are without a win in this campaign. Croatia are joint top and looking for their sixth win in seven games. We've only won six games in our last 22 competitive matches. The experts at betting-news.co.uk will not be falling over themselves to back Scotland. Much as I find the FIFA rankings an odd tool, recent form suggests the scores of team separating Scotland from Croatia's lofty top five position don't represent skewed statistics. Strachan has spoken of the likelihood that Croatia will dominate possession. Hardly earth shattering tactical insight but a prospect that becomes grimmer still when you look at the lack of cover in central defence and the dearth of defensive midfielders. It's also true that many griped that Strachan's first Scotland squads were too fixated on the conservatism that so infuriated his predecessor's detractors. The manager might argue that it was a conservatism borne from a desire for consistency, to build a platform for a managed transition. He'll be forced to embrace change tonight though. A new captain, a squad with a mighty 14 international goals between them, inexperience throughout. Compare and contrast. Croatia have goals, experience, the confidence that comes from winning games and recent qualifications for major championships. 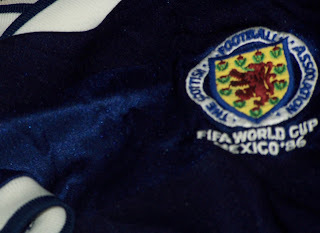 Their manager, Igor Stimac, said this week that "the Scotland team is a dangerous one. I will not allow you to take points from here." A statement that straddles the fine line between the generosity of a welcoming host and the threatening demeanour of a nightclub bouncer. But he'll know that - with Belgium enjoying a superior goal difference at the top of the table - a Croatian defeat tonight is unthinkable. Just one point would do us. It looks depressingly likely that we'll need Stimac's team to show a collective generosity to their visitors for us to get even that. Iceland, Macedonia, Liechtenstein, Lithuania. The teams we've beaten in qualifiers in the last five years. Croatia won't fancy joining that list. Gordon Strachan would be forgiven for occasionally thinking that there are better ways to earn a living than this. As much I hope for a pleasant shock, tonight looks like providing more evidence of the scale of his task rather than any answers about he's going to fix a broken team. Tonight might just leave us all in need of a holiday.